This entry was posted in Autism, IEP Meeting, Individualized Education Plan and tagged Autism, autistic, IEP, IEP meetings, Individualized Education Plan, school, Special Education. Bookmark the permalink. Great idea. I feel like she will add more later. it will be interesting! yep…you will get there! I just figured out “yes or no” means “no” when my daughter speaks it…getting closer every day. Aw… thanks so much. Yeah, I have been thinking all day about how I might have accommodated her better in the meeting so that she didn’t have to feel verbal language was the only way to have her needs met. Wonderful. We’re planning to include M in her IEP for the first time this year, and I much appreciate your documentation of how important it was for Emma as I make a similar case to M’s teachers. Looking forward to M’s perspective in your evening chat! Thanks. She had to have a tooth pulled so I may wait until tomorrow to discuss with her! Good luck with your upcoming meeting! I hope Kim is stabilized now and there’s been no more seizure activity. Thinking about all of you. Her school has been terrific about not only accommodating my requests but for their enthusiasm regarding pretty much everything. I have not met a single person on her team who comes with tremendous ego as was the case in her old school. It is such a relief to have a group of people who seem genuinely eager to work together! 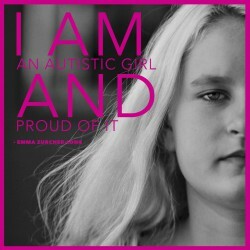 We are also planning on bringing our daughter (about to turn 11) to her first IEP meeting in May. So glad to hear it was a positive experience!!!! It was terrific. As I wrote above, I do think I will plan better next time and provide her with other means of communicating what she wants and not giving her any other option other than language. Aww… This is so, so lovely of you. But I don’t think I qualify as I believe the Liebster Award is for blogs with under 400 followers. Tell me if I’m wrong. Either way I am so, so flattered. Thank you! Well, thank you so much! I have been given a couple of these over the years, but never done anything about them… I will try to respond to this one soon. Thank you again! I used to work as a transition planner and education advocate for disabled students in Canada. I always told students, “The IEP review is about you and you have a right to be there!” There were a couple of students that did a lot of work with me each year to make sure that they’d figured out exactly what they wanted to say. Some families were more open to including the student than others…some schools were definitely more open to it than others…but I don’t think that I ever worked with a student that ultimately regretted attending. It’s a real shot in the arm for kids that often don’t feel like they have a lot of control over what happens to them at at school, to have the chance to even say, “I like this about my school day…I don’t like this…I’d like to try this…” Good for you for including Emma, and I’m so glad it was a positive experience! Love your blog, putting it on my blog roll! Thanks so much for reaching out! Good idea and also to ask if she has anything she wants to add. Now something to consider as we are in the middle of this. At least in fl, a parent makes a choice regarding the direction their child is headed, from a diploma aspect. Emma was in a special diploma track. This was before her writing miracle and the indication of her vast academic knowledge and high level of “competence”. With great joy I am able to report that she will receive a regular academic diploma. This was not anything ever considered previously. A GED, something we were investigating would not have worked for community college admission. Her future goals include a college education. As your daughter is on this incredible journey, I encourage you now to not lock her in to any track, as we were required to do so many years earlier. Congrats to you all…and in so many ways you are now on a new journey. Thanks so much Paige for the heads up on this. It has not come up yet nor do I know the laws regarding this in New York City. I will look into it. I don’t know that it’s too young, particularly if the child has a way of communicating and the sensory issues of being in a room that long didn’t overwhelm. But others will hopefully weigh in! i often wish iep meetings were nonverbal meetings for nonverbal students. I have a hard time understanding when it is for us why WE have the burden to accommodate every speaking person at our meeting. So they speak at us and we say “bertie kittie” but what if they didn’t speak at us? I know they will think it too hard to hold such a meeting…maybe impossible…but for us, well…we have no choice but to live in the speaking world everyday so I think they might agree to live in a nonspeaking meeting for a hour or two once a year. Speaking people often pat themselves on the back for the accommodations they make for us and yet we have been accommodating all of you since we were teeny tiny and get no credit at all! The way NTs act – well, you’d think THEY invented accommodation!!! LOL (I am a speaking autistic, but do not always have access to reliable speaking words that are not scripted in advance.) GREAT JOB, EM for accommodating the speaking people and getting out those speaking words at the right time. You took your turn. You did great!!!! Judy 💛 In retrospect I should have provided her with other means of communicating. We are still so new to these alternate methods, I didn’t feel confident enough, but this was not a meeting for me and had I thought of it, it would have been good for her to have the iPad so that if she did want to type something she could have. Once I’m better and more confident in supporting her I will do this next time for sure. This is a great point, Judy. Non-verbal people DO end up accommodating the speaking word all the time, it is true. I am trying hard to accommodate my non-speaking son and honestly feel these days as if I am floundering about at this. He is only 5, and we just recently got the Proloqou2go app and I am still reading the manual and trying to set it up. We are all trying to learn sign language.. it’s difficult. He is still so young, I am having a hard time getting it all going with him, but I am with you – and don’t want him to feel later like noone else ever tries as hard as he so obviously does! Katrina – you said it. Floundering is something I know intimately and feel often! When I talk to my friends whose children are now adults, they remind me that it’s going to be okay, to take a deep breath, to remember none of this will happen overnight, that the learning curve is steep and full of pot holes and that our progress is as important as our children’s. I am just so grateful to have people like Judy Endow and my friend Ib and so many others who continue to patiently weigh in and tell me what they feel and how it has affected them so that I can learn and do my best to lessen the load on my daughter and maybe, just maybe model a different way of being for others. I decided the other day that Roz should be included in part of the SSG (student and support group) meeting we are having at school. On Monday I pulled her out of class( dont want to go into the details here) and made it clear changes need to be made as hse isnt coping. So we are meeting todaywith school staff and an autism consultant we have ( who is brilliant has a phd in education and aspergers herself- she has really been able to reach Roslyn and explain a lot to us to make her life easier). I have made it clear I want Roslyn to be there for the second part ofthe meeting when we have things sorted ot a little as I am not sure how the whole thing will go. She is very ancious about school and has a right to know what is going on and be involved however she can. It will be a first for her too. I was worried an hour of talking and back and forth might be to distressing for Roz as she is so anxious about returning to school- I tried to talk to her about it yesterday when we walked the daog and she made it pretty clearl she found it very distressing. Oh I’m so sorry to hear Roslyn is having a tough time. Good luck with the meeting, I’ll be thinking of all of you. Today was huge!! I am so proud of you and Em!! Yay!!!!!! 5 is not too young. That’s when I was “flunking” kindergarten in ways that seem almost comical now and I remember clearly some of what was said about me but what I thought myself was never asked. It would have straightened out a lot of confusion faster I think.